China holds a special place in my heart as the country where my daughter was born. But while my travels have taken me to Beijing, Nanchang, Guangzhou and Hong Kong, there’s still so much of the country I’d like to explore, including Shanghai, Guilin and Xi’an. 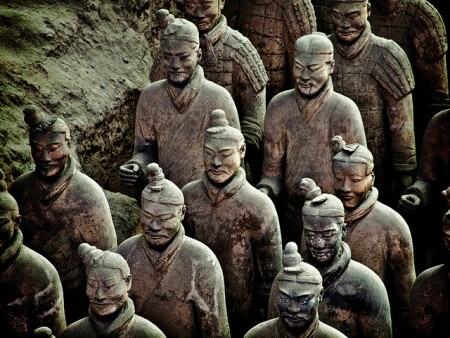 In 1974 a local villager digging a well in Xi’an stumbled upon what has been described as “the eighth wonder of the world,” over 7,000 terracotta warriors and horses buried in formation, dating from the Qin Dynasty, 2,200 years ago. Since declared a UNESCO World Heritage Site, the archaeological discovery draws thousands of visitors annually. But wait – there’s more to Xi’an than the terracotta warriors. 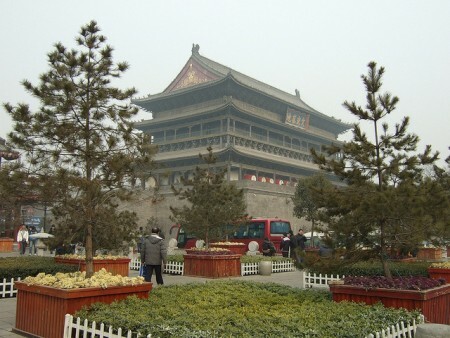 Other popular travel experiences in the city include a soak in the Huaqing Hot Springs, a visit to the Shaanxi History Museum, a stop at the Big Goose and Little Goose Pagodas in the city center, a stroll along the ramparts of the city walls and climb to the top of the Bell Tower and Drum Tower for a panoramic view of the city. How about you, wanderboomers? Ready for a visit to Xi’an?